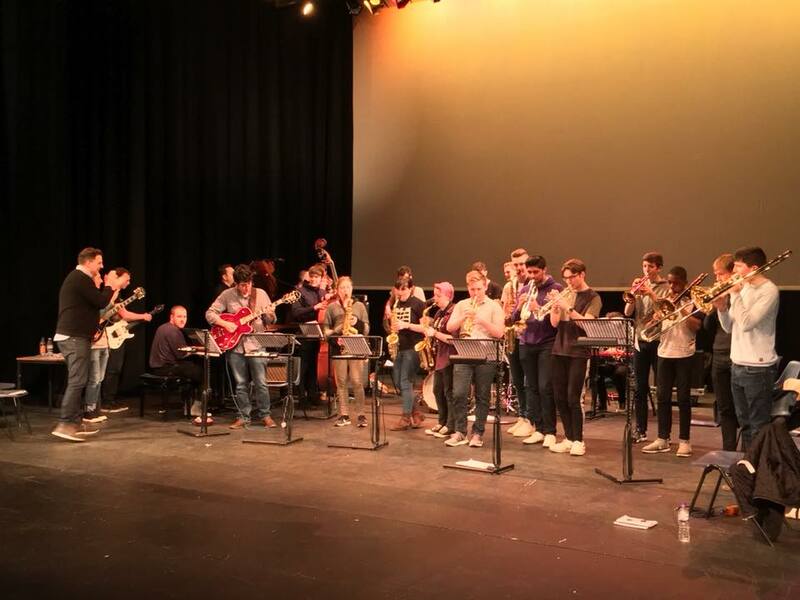 NYOS Jazz BopCamp 2018 was not so much a new venture as a reworking and development of previous courses, to meet the needs of young Scottish jazz musicians today. 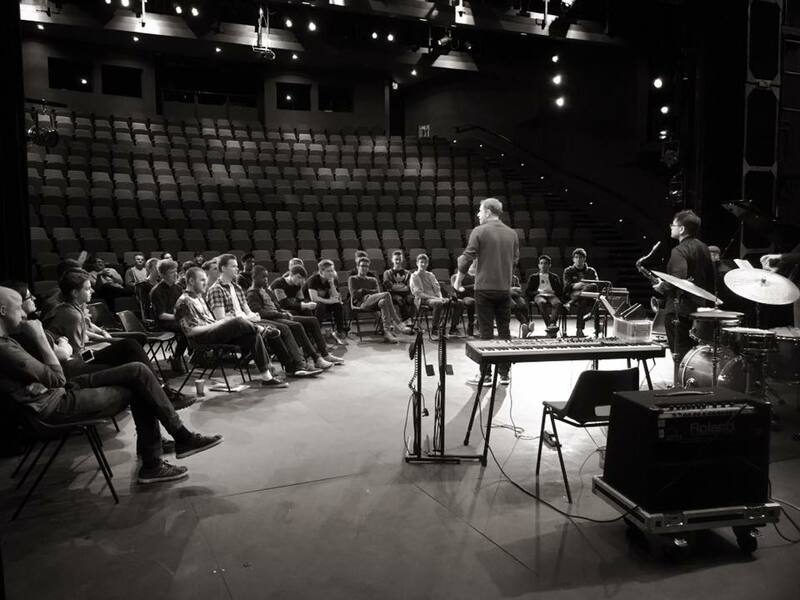 The Gardyne Theatre, in culturally burgeoning Dundee, was a perfect setting for the course. 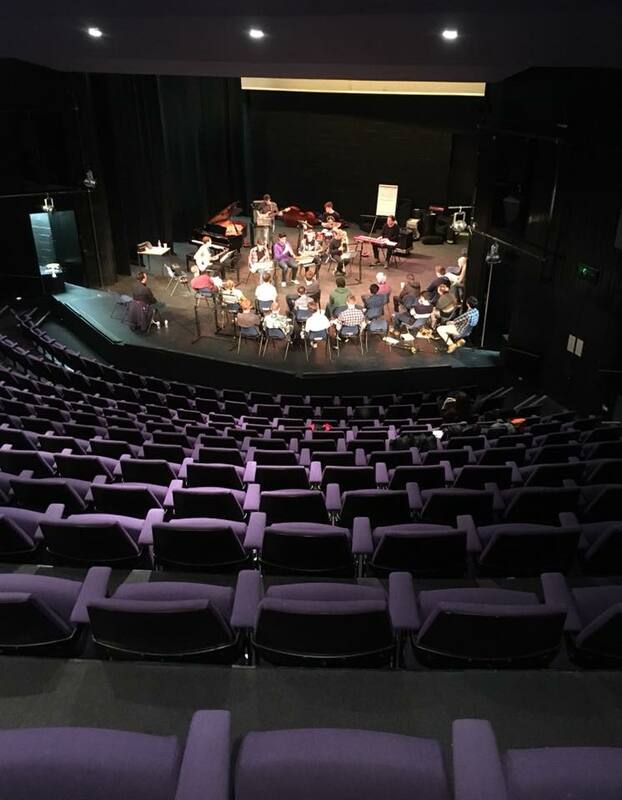 The theatre had ample space to hold entire group warm-ups and jams, as well as three small band sessions running concurrently. The course was no walk in the park for this eager group of jazzers. They covered topics like how to make best use of a focussed 30-minute practice by breaking it into 2 minute chunks spent on specific skills. Time was also spent transcribing licks that could be used over any II-V-I chord progressions, which is one of the most useful things a jazz musician at any stage can do. Complex harmony was “sussed” with useful suggestions from all three tutors (Malcolm Edmonstone, Jules Jackson and Steve Hamilton) helping the chord progressions flow harmonically, and often making them feel simpler than they first appeared. At the end of each day, the students enjoyed a jam, performing to the rest of the group, putting everything they had learnt into practice. 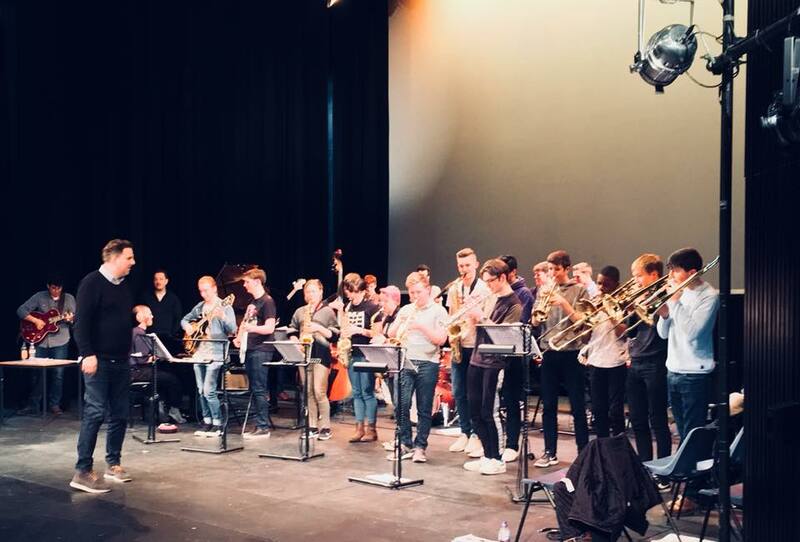 They were able to learn from and critique each other’s performances in a constructive manner, talking about the forms of solos, picking up on rhythmic ideas, effective endings, and interactions between band members. Top tip from day 2 of @NYOScotland Jazz Bopcamp: break up practice into 2 minute chunks...and keep it up! Include 2 min chunks of just walking around too. Rounding off BopCamp 2018 the students shared a final jam with a lovely audience made up of family and friends – sending them home with a smile on their face and a spring in their step as the entire group performed Billie’s Bounce!